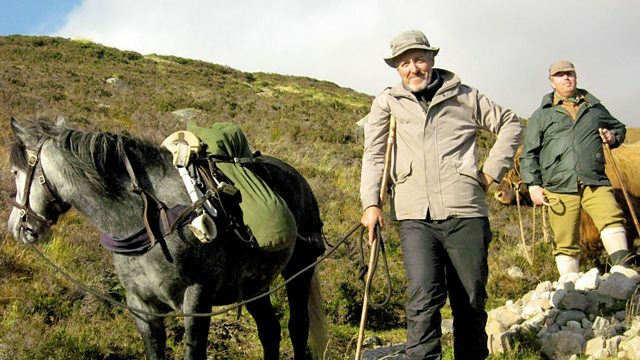 Accompanied by a herd of cows, Griff Rhys Jones retraces the 250-mile droving route from the Isle of Skye to Falkirk market used in the 19th century. Griff throws himself back into the early 19th century, joining a herd of Highland cows and two sturdy farmers to retrace an ancient droving route once taken by thousands as they trudged 250 miles through the Scottish Highlands from the Isle of Skye to market in Falkirk. Braving the ravages of the Scottish weather, Griff and his companions relive the arduous and dangerous trek through steep mountain passes and fast-flowing rivers that drovers and their herds made so that the great British public could get beef on its dinner plate. As they go, they discover how drovers once risked life and limb to swim their cattle from the Scottish islands to the mainland, braving the inclement conditions in their wet plaid and fending off rustlers with sharp shooting. Griff explores how these hardy men went on to become the first cowboys of the Wild West as well as becoming the stuff of literary legend.